I am delighted to announce that Park E Bike has just launched brand new Special Interest tours just for you! Why just for you? These new private tours are aimed at people who want to explore beyond the sightseeing tour and really want to have unique local experiences. Following repeated inquiries for visits to the highly acclaimed but little known Colares wineries and their truly unique Sand Wines, we have created an all new Sintra Wine Route E-bike tour which will take you many of the most emblematic places of this ancient Denominated Wine Region. This is a private e-bike tour which will take you to the heart of the Colares DOC, where almost extinct, original vines grow in sandy soils, close to the the Atlantic ocean. You will get the chance to taste some of the rarest wines in Europe in some of the oldest cellars in Portugal, cycling from place to place on our No Sweat e-bikes to make sure you can enjoy the whole day at your own pace. You can see all the details of our new wine route tour right here. Posted by Martin - partner and e-bike aficionado. The Sintra Town Council will implement the project "Wifi in the Historic Center" which allows visitors to access the Internet and information about Sintra on a mobile device. The implementation of this portal allows visitors to access information about the area through any mobile device (smartphone, tablet, laptop, etc.) and will cover the entire historic center, Volta do Duche and Estefânia. The "Wifi in the Historic Center" is supported on a wireless network in public space, providing access in open signal to all users. If you have looked up Sintra, it's quite likely you have seen one of the superb photos by acclaimed photographer Taylor Moore. His style is inimitable and he has managed to capture the elusive essence of mystery and magic that can be found in Sintra and it's wonderful parks and palaces. Taylor has accepted our request to show you some of his secret spots in Sintra and also to share his own special photography techniques, so that you can bring home your own unique mementos of this superb Unesco World Heritage site. These are private tours and are offered only to small groups, to make sure you get Taylors undived attention and to ensure that we can access places that are normally restricted to visitors. The use of ebikes means you can easily cycle from on site to another, fast enough to make the most of your time and slow enough to enjoy the ride and outstanding sights. You can find out all about Taylor and his ebike photo tour with Park E Bike right here. See you soon! In the end of August Sintra Village will receive “ Aura Festival” a free event dedicated to the transfiguration and experimentation of the night through the art of emotional mappings, integrating this way the commemorations of the International Year of the Light promoted by UNESCO in 2015. The initiative will be promoted between 27 and 30 of August by the Company Criaatividade Cósmica and by Sintra Town Council and will include a “program with Portuguese and foreign artists” as well as a “big ephemeral change of the public illumination, light fixtures, video facilities inside stores, artistic illuminations, emotional cartography, digital mapping, contests on social network, video mapping and guided visits”. According to the producers the route of AURA FESTIVAL, will begin in M.U.S.A ( meeting point with an interactive video setup), follows Avenida Heliodoro Salgado (light and video setup ), Municipal Library ( interactive setup ), Vale da Raposa view point ( where people are invited to bring from their home a sconce and to record the moment in photography), Dr. Alferdo da Costa street ( light and video setup ) Natural History Museum ( light-sculpture) and finally Rainha D. Amélia Square ( projection of social network on the facade of the palace and artistic setup at the square). The Party Commission of Our Lady of the Cape Espichel - S. Pedro de Penaferrim promotes the V Saloia Fair, held 1-3 May in Largo D. Fernando II in S. Pedro de Penaferrim, Sintra. In addition to the fun, the fair aims to provide producers, manufacturers and economic agents to show of its products by promoting the tradition and the "Saloia culture", a show the best produces in Sintra county. There'll be on display agricultural products, wines and sweets, basket weaving, patchwork, snacks, etc. The Sintra Town Council will launch the brand ActiveSintraand will promote with its launch one Adventure Fair on 28 and 29 March between 10h and 18h ​​in the Square Queen Amelia, in the historic center of Sintra. The ActiveSintra brand is a way to promote active tourism, attracting and retaining visitors throughout the year and throughout an extended stay. Associated with the brand comes the portal Active Sintra, which brings together all the necessary information to those who want to experience a real adventure in Sintra. This event has the presence of companies operating in the tourism area of ​​nature / adventure, specialized in offering non-motorized activities in the municipality of Sintra, in particular, paragliding, birdwatching, hiking, climbing, abseiling, MTB, touring bike, surf and bodyboard. On March 29 at 10.30am, takes place in the grounds of Fair Adventure launch of Sintra Ecovias. From hiking, to mountain biking, climbing and rappelling to the mountains, to the boogie boarding beaches, there are several activities that Sintra offers visitors and residents. The Sintra Parks joins the initiative Earth Hour 2015, organized by WWF (World Wildlife Fund), as in previous years. Thus, the Pena National Palace, the Sintra National Palace, the Palace of Monserrate and the Moorish Castle are in the dark on Saturday, March 28, between 20.30 and 21.30. This is the fourth consecutive year in which the Sintra Parks demonstrates its support and commitment to the planet, joining the hundreds of millions of people around the world. "Use your power against climate change" is the motto of this year. 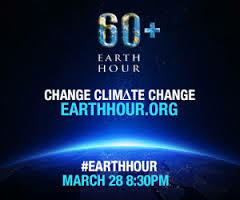 Earth Hour is a WWF initiative that began in 2007 in Sydney, Australia when 2.2 million individuals and more than 2,000 businesses turned their lights off for one hour in a stand against climate change. Join this movement as well! The Municipality of Sintra and the Flying at Cynthia - Cultural Association organized from March, "Route d'Artes - Natural Products & Bio", an outdoor market that is aimed at boosting the cultural offer of the municipality. With this initiative, the municipality intends to provide residents and the general public access and disclosure to natural and organic products (vegetables and others); products processed by hand (soap, etc. ); aromatherapy products; arts (painting, sculpture, ceramics, photography, illustration and contemporary craft author); healthy and vegetarian food (fresh juices, green juices and superfood). This event takes place every month, from March 14, the second and fourth Saturdays of each month in the square of the Museum Anjos Teixeira and Alameda dos Combatentes da Grande Guerra. The d'Artes Route will be on March 14th in Largo Museum Anjos Teixeira and 28th in Alameda. From April until the end of the year to the second Saturday will be in the Alameda dos Combatentes da Grande Guerra and on the fourth Saturdays will be in the square of Museum Anjos Teixeira. From October to March: from 10h00 to 17h00.